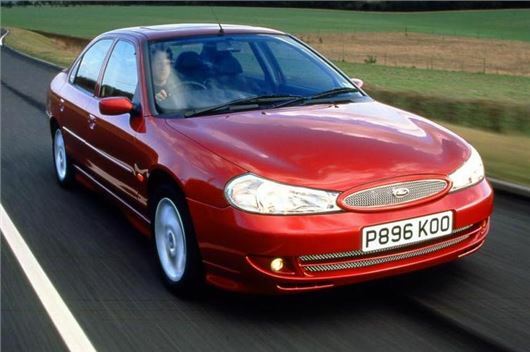 A V6 option was part of the Ford Mondeo line-up from the original model’s launch in 1993, but it wasn’t until the Mk2 variant appeared for the 1997 model year that it became a performance model. Until then, the six-pot had been reserved for the plush Ghia X model, but the facelift brought with it a new performance flagship, the ST24, named after its 24-vavle quad cam V6 engine. Although not as much of a sports machine as the ST200 that followed, the ST24 still had 168bhp to offer from its 2.5-litre Duratec V6, with super smooth power delivery, while it also sat 15mm lower than a standard Mondeo, giving it a much more aggressive stance - one that could be accentuated further if you splashed out an additional £1,250 on the Rallye Sport Appearance Pack, which gave it side skirts, a boot spoiler and a deep front splitter. Inside, it got chunky sports seats, with cloth facings and leather bolsters, along with luxury accoutrements such as a leather-bound steering wheel and gearknob. But the real appeal of the ST24, which was offered as a hatch, saloon or estate, was the way it drove. With a mid-range trim and a four-cylinder engine, the Mondeo was always a decent steer. Couple the V6 engine with a manual gearbox and stiffer dampers, and the car was an absolute delight. Indeed, were it not for the appearance of the ST200 in 1999, the ST24 would probably have been remembered as one of the truly great budget performance Fords. The ST200, built in commemoration of Ford’s British Touring Car Championship campaign, was an altogether more in-yer-face, brash beast, finished in Ford Racing Blue and with a full RS body kit, along with power increased to 197bhp. It was faster, edgier and more of a full-blooded performance saloon, which meant that the ST24 quickly become the poor relation. Yet side-by-side, there’s an argument to say the ST24 is the better car. It’s certainly a lot more subtle, the seats are nicer and it’s slightly softer, smoother and more comfortable to drive, while the performance is still more than adequate. As a means of making rapid progress, it’s rewarding without compromise. A great grand tourer. Yet its relative anonymity makes it a rare beast today. With just under 8000 built, there are less than 400 examples left on the road today and a fair few of those are either on their last legs or - worse - badly modified. Find a good one, and not only do you get a hugely practical, quick and entertaining modern classic, but you also get a rare car that’s only going to appreciate in value if you look after it. Brilliant car had 2 of them wish I had never swapped them.